My favorite toy growing up was my very first Barbie. I loved her(and still do! ), and now enjoy watching my daughter and her friends play with her. I really wanted a Barbie Dream House. I didn’t get one growing up (although I’ve contemplated buying myself one), but plan on surprising my soon to be 8 year old, with one. Did you know that Barbie is Moving? She is moving out of her Malibu Mansion, and onto swanky new pad! To celebrate Barbie is heading on tour, and her first stop is in LA. 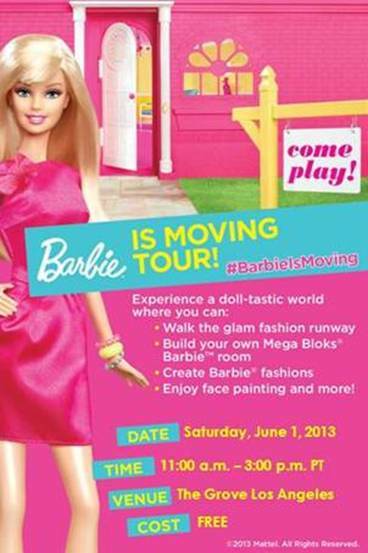 The #BarbieIsMoving Tour’s first stop is at The Grove, this Saturday, June 1st, from 11am to 3pm. There will be a Barbie fashion design studio, a chance to walk the Barbie fashion runway, a Mega Bloks® Barbie activity and more! If you are looking for something fun to do with your daughter/s, this would be super fun and FREE! To learn more about this fun event head here. Disclosure: This is a promoted post. That being said, I will always adore Barbie! 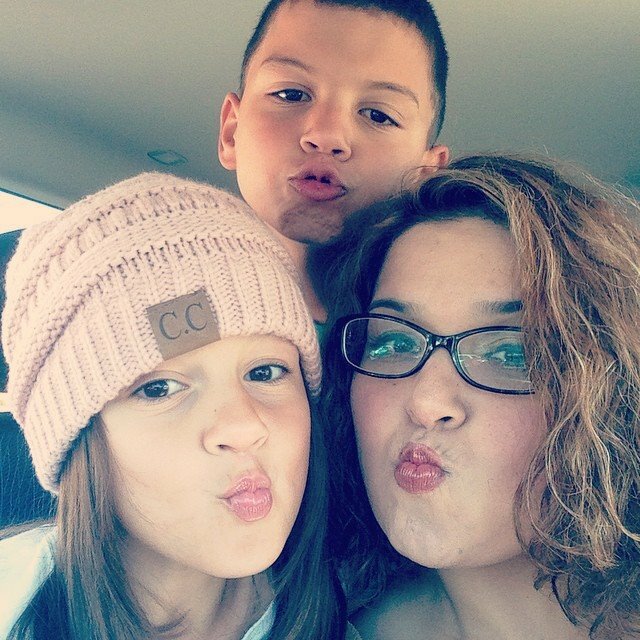 This entry was posted in Uncategorized and tagged #BarbieIsMoving, #BarbieIsMoving Tour.